Do you enjoy solving mazes as much as watching monster movies? 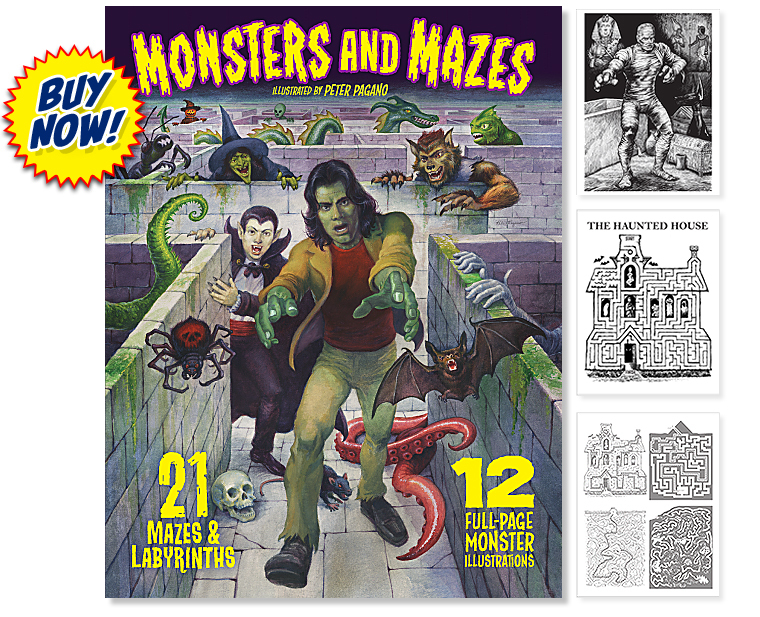 Then Monsters and Mazes is the perfect book for you! It's filled with 21 challenging mazes for all skill levels. Are you brave enough to enter the Minotaur's Labyrinth, a Ghost-filled Haunted House, or the Vampire's Crypt? These and many more mazes await you! Dracula, Frankenstein's Monster, the Mummy, the Werewolf, Mr. Hyde, the Invader from Space, the Creature, the Loch Ness Monster, Giant Mutant Ants, the Phantom, the Witch, and the Yeti! These eerie illustrations are perfect to decorate your Halloween party, bedroom, locker, office, or dungeon. On the next dark and stormy night, or even on a sunny day in the shade of a beach umbrella, pick up a pencil and explore the haunted hallways and puzzling paths of Monsters and Mazes. 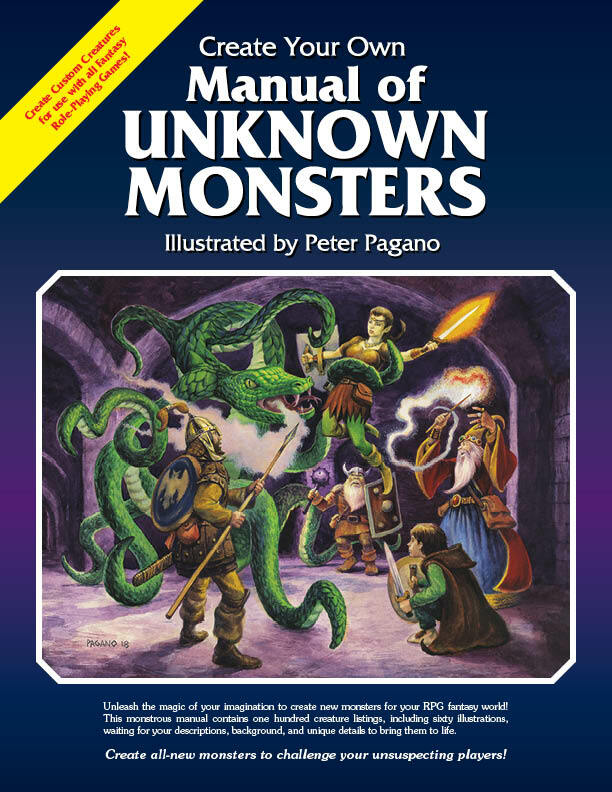 Sixty Monster illustrations to inspire Dungeon Masters to create new monsters for their role-playing games!